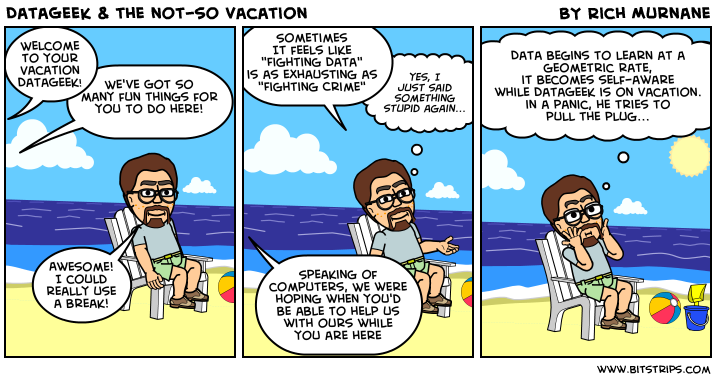 DataGeek is trying to escape the day-to-day life of "fighting data", but it looks like there's no escape! The real DataGeek (me) was away this past weekend at the Great Wolf Lodge in Williamsburg, Virginia. On Sunday morning while grabbing some coffee from the coffee shop at the lodge a nice woman approached me and asked me if I could help her get her iPad connected to the wireless network. I believe the exact phrase was something like "Can you help me get connected to the WiFi? You look like the kind of guy who knows how to do that kind of stuff". Now I have to ask, does DataGeek look like that kind of guy?